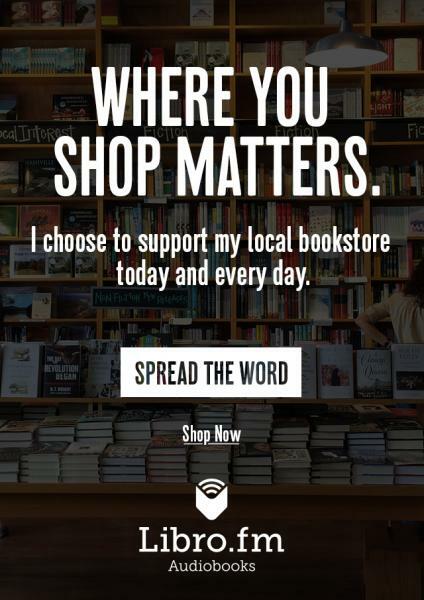 Page 2 Books | A great place for books and the people who love to read them. Apr. 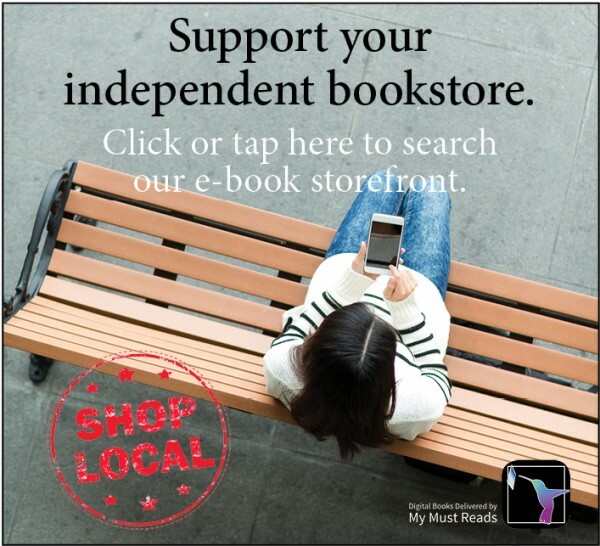 27 - Independent Bookstore Day! Apr. 29 - May 5: Children's Book Week! 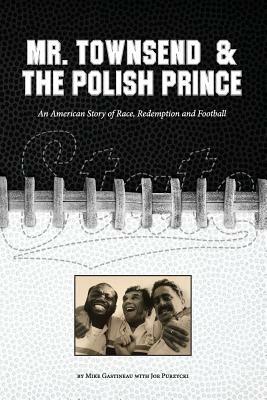 May 18 - Saturday Morning Book Group, "Mr. Townsend & the Polish Prince"
Jun. 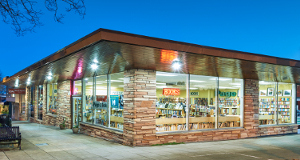 1 - Author Elisa Murray, "52 Seattle Adventures with Kids: A Four-Season Guide"
A celebration of independent bookstores! We'll have authors, activities, giveaways, and more! Read more about Apr. 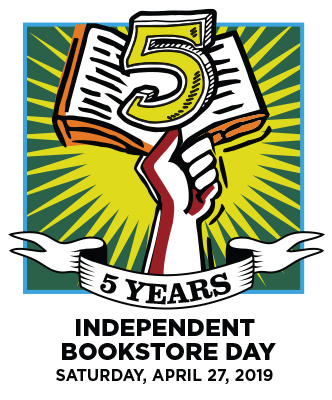 27 - Independent Bookstore Day! Join us for the release of Jayne Ann Krentz's new romantic thriller - "Tightrope" - under her pen name, Amanda Quick. Meet Jayne and have a copy personalized just for you! No tickets or RSVP required. Saturday Morning Book Group meets the third Saturday of each month from 9:00 a.m. to 10:00 a.m. in our store. All ages and interests welcome! Book club members receive 15% off the pick of the month. Read more about May 18 - Saturday Morning Book Group, "Mr. Townsend & the Polish Prince"
Read, Sloth Around, Feel Better! 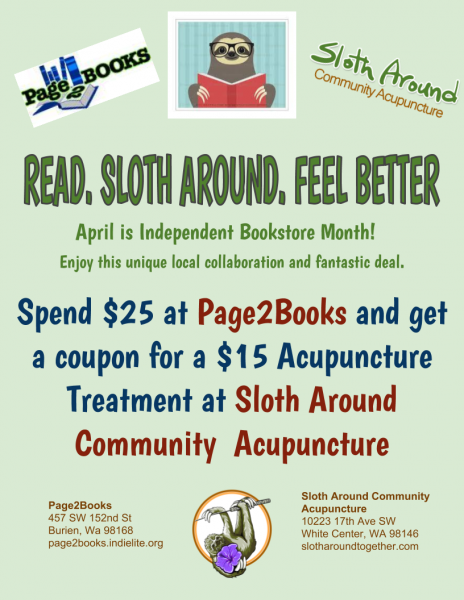 In April, spend $25 or more at Page 2 Books and get a coupon for a $15 session at Sloth Acupuncture!